When Mr M. K. Gandhi moved from South Africa to India he set up an ashram in a place named Gujarat based on the principles he had established on Tolstoy Farm in the Transvaal. One of the regular visitors to this ashram was a young girl who later became Shri Mataji Nirmala Devi, who founded Sahaja Yoga. Gandhi became very fond of the young Nirmala, affectionately calling her “Nepali”, claiming she had Nepalese features. They had long conversations together, serious and deep. 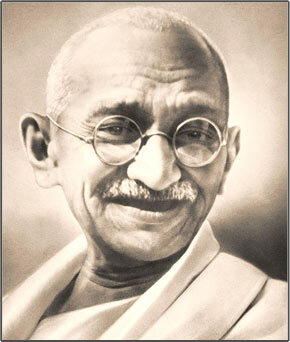 Gandhi believed there was great wisdom to be found in the simplicity and innocence of children, especially Nirmala.